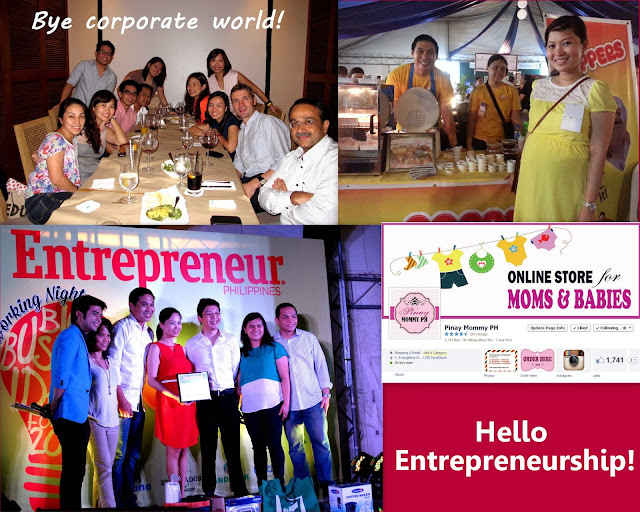 The Chic Mompreneur: A Bigger and Better Year with 2014! Highlight #1: We welcomed our little blessing named Kali! This little baby is our long awaited blessing from the Lord. 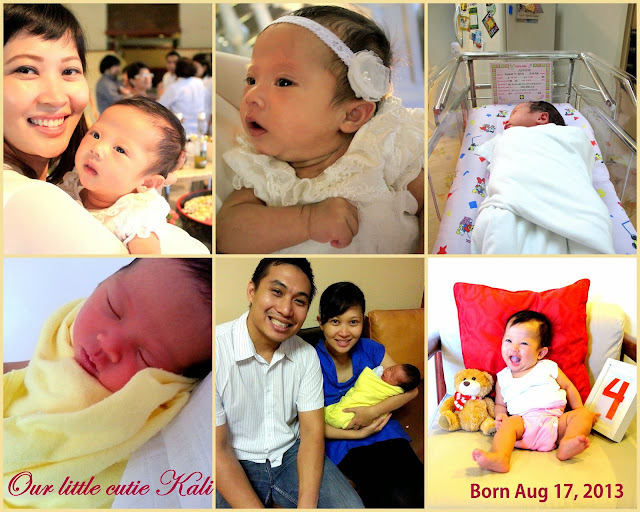 While her Ate Elyssa is enjoying life in Heaven with Jesus, we are happy to welcome Kali here in this world. Kali brings joy to us every day and it's simply amazing to witness her each and every milestone now that I'm a work-at-home mom. I am definitely enjoying being close to my little one. Since we're together every day, I am much more in tune to her needs. It is also my first time in exclusive breastfeeding, attachment parenting, and cloth diapering. It has been a truly rewarding journey so far, and I look forward to many more moments of happiness with Kali and our family. Highlight #2: I quit my corporate job! For anyone who knows me, he or she would definitely say that it has been a long time dream of mine to become an entrepreneur. Since college, I have always wanted to start my own business. However, I found myself in the corporate world because I needed to gain experience and save enough capital. I kept on putting off my dreams and stayed in corporate for 10 years. Last year, I finally found the courage to say "It's now or never!" and I said goodbye to the corporate world. A lot of factors contributed to it -- the passing of our dear Elyssa, my pregnancy, and my strengthened faith in the Lord. My favorite verse is "Commit to the Lord whatever you do, and your plans will succeed." from Proverbs 16:3. Whenever we face struggles in the business, I always just go back to this verse. Nowadays, I keep myself busy managing our food business Marky's Chicken and online store PinayMommyPH. God has supported us in many ways, which includes us winning in the Entrepreneur Next Big Food Challenge. 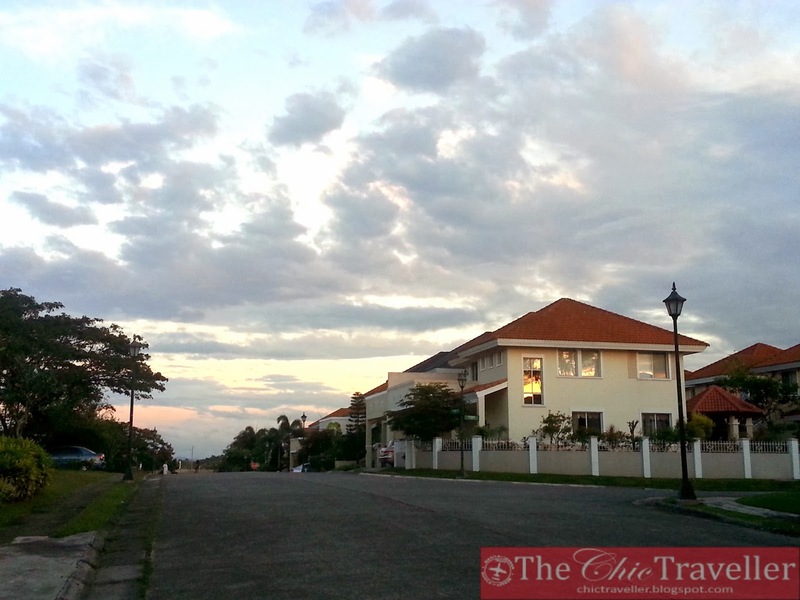 I am very much hopeful for what's in store for us in business this 2014. After all, with God as our business partner we will always succeed. "If God is for us, then who can be against us?" Romans 8:31. Highlight #3: We moved into a new home. A month after Kali was born, we moved into our new home. It was not easy to move into another home with a newborn, but thanks to our loving family we were able to make it happen. These days, I learn something new each day as we take care of our home. From gardening to cleaning to finding good home finds, it's exciting to slowly fill up our home and build it up into our dream home. Our home is still a work-in-progress. We still have hand-me-down furniture from the in-laws as it is quite costly to buy furniture. I am happy to slowly collect and select the pieces that we like over time. Highlight #4: Our marriage is stronger than ever. 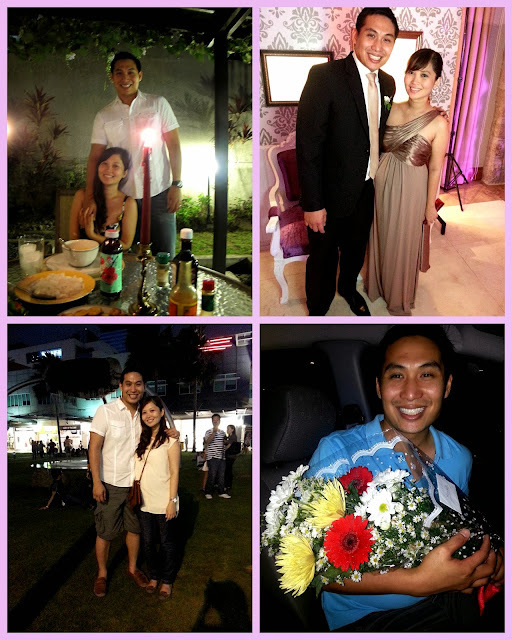 From surprise flowers to home-cooked candlelight dinners -- this year has been great! Ever since we decided to be Christians, our marriage has evolved into one that is stronger and spiritually-rooted. We had less fights and had more room for patience and understanding. My husband has transformed into a faithful, loving and dedicated husband committed to our marriage and family. It's amazing, really, how Jesus has transformed both of us to be a better husband and wife to each other and every day, he continues to guide us in becoming a better partner for one another. In the relatively short span of time that we've been together, I have learned that couples should continue to invest in their marriage, both in time and effort. This year, we joined a course in our church New Life Alabang called Married for Life. It taught us how marriage is rooted in the Bible and how to deepen our bond in all aspects -- emotionally, spiritually and physically. "What God has joined together, let no one separate," Mark 10:9. No matter what trials we have been through, the minute that we let God into our marriage everything got infinitely better. Reviving this blog. I challenged myself to blog one post every day for the month of December (total of 31 posts), yet I was only able to do 28. Ang hirap pala ha to rack your brains and write something everyday! Kudos to all those bloggers out there who regularly churn out meaningful posts. This 2014, I have faith in God that He will continue to bless us with His grace and it will pour out in all areas of our life -- personal development, marriage, family, and business. I won't go into details anymore as I have written quite a long post already. All I know is that this 2014, all the highlights in my life that I have just written about will evolve into something bigger and better with God's grace. More grace, more blessings! Cheers to another great year this 2014! Congratulations. Your daughter looks adorable. They are so tiny and precious, that it's quite scary the first time you cuddle them. I am very sure her ate in heaven is super happy, and looking after her. You definitely had a fruitful 2014! Congratulations! Cheers to a more fruitful 2014! Mitch Ryan: Thanks! Babies truly are very precious.